Our new post, the first of our new month in which we will explore Omar Khayyam's The Rubaiyat, is delayed. I haven't had time enough to create this post. My excuses for the delay. 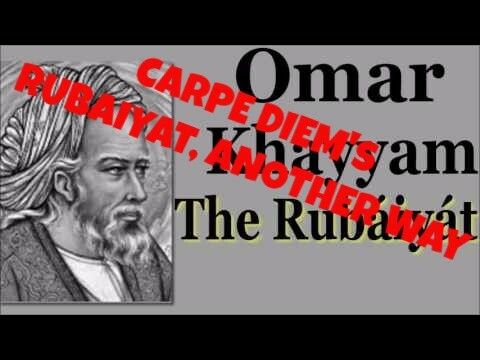 I have titled this month Rubaiyat, another way. 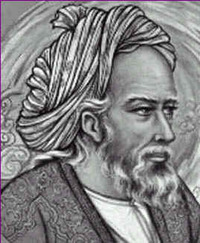 This month we will explore the quatrains written by Omar Khayyam as gathered in The Rubaiyat, rubaiyat means by the way 'quatrains", it was a suggestion once given by Bjorn Rudberg. This month I will introduce you to these quatrains and I hope to challenge you to create haiku, tanka or other Japanese poetry inspired on the quatrains. I will publish our new episode, tomorrow, again my excuses for the delay. Well ... here it is our last episode of our celebration month. It was a joy to dive into the history of CDHK and I am glad that you all have celebrated this first luster with me. Thank you for your love and participation. 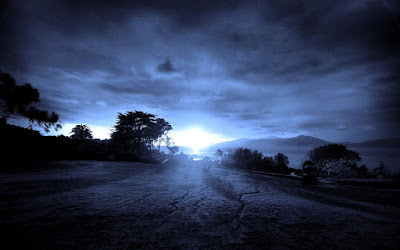 Our trip along memory lane brings us to our near history, because just recently (July 2017), we had this prompt "twilight", it was part of our month of modern and classical kigo for summer. As I was preparing this episode I realized myself that we also have done a renga-party "in the twilight" (the whole renga you can find HERE). The above musical video is by Vangelis and is titled "Twilight". I couldn't 'handle' the idea that I had not a last musical video for your inspiration this month, so I just had to find a "twilight"-video. This one is created by Sidoreac George. A wonderful poem I think. Maybe it helps you to find your inspiration ... awaken your muse. A very experimental one, maybe I have to tell the scene behind it. A warm summer night, a clear bright sky, and the sweet perfume of Honeysuckle that arouses the senses. This episode is open for your submissions tonight at 7:00 PM (CET) and will remain open until November 6th at noon (CET), I will try to publish our new episode, Bowl of Night, later on. For now ... have fun! PS. : I have published a new episode at Haiku Shuukan you can find this weblog at the left side of our Kai. Welcome at the first of our two last prompts in our celebration month. I had planned a lot of new things, but it all turned out to be a to big task ... I had hoped to give you our new CDHK E-book "tribute to Jane", but I hadn't time to create it. I have started creating it, but you have to wait a little while longer. I have tried to create our You Tube Channel "Karumi", but making such a channel turns out to be not very easy. It needs more time and work than I had expected ... so ... our You Tube Channel has to wait too. There however were a few ideas that I could create. First there is our CDHK Forum, you can find it at the right of our Kai and I finally had time to revive our weekly meme, Haiku Shuukan, that you can find at the left of our Kai. Than of course there is our special feature which I created for our CDHK feuilleton "Wandering Spirit". Recently I created the "Wandering Spirit Challenge" in which Yozakura asked you for help with creating the 'daisan' (third verse) of a renga. You all had ideas for this 'daisan' and together with Yozakura I am now busy to select the "winning" 'daisan'. Okay ... back on our trip along memory lane. This celebration month we were on a trip along memory lane through the rich history of our Haiku Kai. 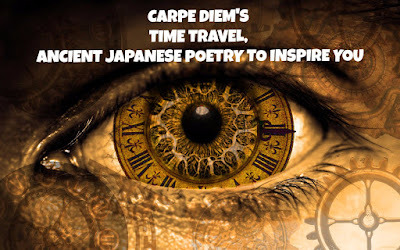 Today I have chosen a episode of our "Time Travel" feature in which I challenged you with ancient Japanese poetry. And in Japanese history there is a lot of beautiful poetry to find and read. [...] In the Hyakunin-isshu are themes such as nature, the round of the seasons, the impermanence of life, and the vicissitudes of love. There are obvious Buddhist and Shinto influences throughout. The above tanka brought a (not so well known) haiku by Basho in mind. Mount Yudano was a sacred and secrative place for the Shinto sect. More about this haiku by Basho you can find at Basho Revisited, one of my other personal weblogs. There are a lot of haiku (and tanka) in which several myths and secrets are hidden. For example in a lot of haiku and tanka the poets hide sexuality and the beauty of human body. "Morning glory" points to a certain male part. So in this haiku you find hidden sexuality and the beauty of the human body. This, delayed, episode is NOW OPEN for your submissions and will remain open until November 5th at noon (CET). 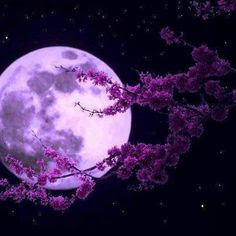 I will try to publish our last episode of this celebration month, twilight, later on. For now .... have fun! Today I have another beautiful composition by our young Portuguese composer BrunuhVille. I hope this music will give you the inspiration you need. Listen to the music and let it be your muse. I think this is a beautiful composition, it's called Epic Fantasy Music. And it sounds epic if I may say so. Well ... have a nice Sunday and I hope you will be inspired by this music. This episode is NOW OPEN for your submissions and will remain open until November 4th at noon (CET). I will try to publish our new episode, time travel, later on. For now ... have fun! We are counting down to the end of this celebration month. It's amazing how fast this month has gone, it feels like grains of sand slipping through my fingers. Time flies ... time it's a strange thing. We hope to have time and sometimes it feels like we have time enough, but ... well you know what I mean. Today our last "musical" weekend starts with another wonderful composition by Karunesh. I love to thank him that he gave me permission to use his music. Thank you Karunesh that I had the opportunity to share your music. I hope that I, that we, have given it the touch of love, of haiku, you appreciate. 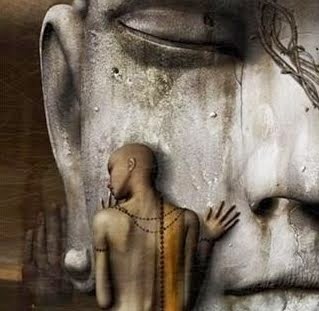 This track is titled "Remembering to Forget" and it is taken from "Zen Breakfast", an album Karunesh created in 2001. This video was made by Awa68. Remembering to Forget ... isn't it a wonderful idea? There are memories we have to cherish, but there are also memories to forget. Nothing wrong with of course. I cherish all my memories, but there are a few that I love to forget, but can't, because "bad" memories we need too. All our memories, good or bad, make us who we are and who we will become. Do you have memories you cherish? Or memories you want to forget? Memories make us who we are. This episode is NOW OPEN for your submissions and will remain open until November 3rd at noon (CET). I will try to publish our new episode, our last musical prompt, later on. For now ... have fun! Our celebration month is almost over, we have only three regular prompts to work with and two (this weekend, musical episodes. Our trip along memory lane has brought us into 2017. 2017 Was a year of changes. For example I decided to create a new feature "weekend-meditation" and I prolonged the time of responding. These changes were not only for me, but also for you. The "weekend-meditation" feature gave me the opportunity to take weekends off and the responding time prolonging was especially for you, but it gave me also more time to create new episodes and to visit you all. And there was that new feature "Carpe Diem's Namasté, the Spiritual Way" in which I taught you all a little more about the spiritual background of haiku (and other Japanese poetry forms). Today's episode in our "trip along memory lane" brings us to the spring of 2017. To be precise ... to March. In one of the "weekend-meditations" I brought a "CD Namasté episode" about the state of mind of haiku Zen. [...] "To start with I have a haiku in which one of the most important issues of Zen Buddhism, Emptiness, is mentioned and with that haiku I hope to start this episode of Namasté and bring it to a great end. I remember my first haiku book, it was a small anthology of my Dutch haiku, nice lay out and a few paintings by myself. That first haiku book was titled "Leegte" ("Emptiness") and it was not only because of the idea that haiku is emptiness, as in the Zen way, but in the lay out I also had chosen to create that "Emptiness" by printing only one haiku on every (A4) page. In that way I not onkly shared the "Emptiness" of the haiku, but also that Zen "Emptiness". 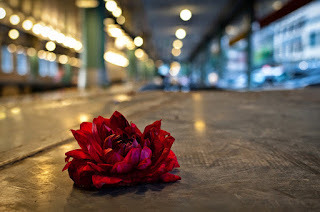 Emptiness ... I think every haiku (or tanka or other Japanese poetry form) needs that. It makes your poetry stronger and your reader will be feeling one with the haiku, because it's the only thing on a page he reads ... how much more stronger do you want to make the emptiness? Two nice poems in which I have tried to bring in "emptiness", here is a last one, a redone "cascading haiku". Well ... I hope you did like this trip back in the close by history of CDHK. And I hope it will inspire you to create your haiku, tanka or other Japanese poetry form. This episode is NOW OPEN for your submissions and will remain open until November 2nd at noon (CET). I hope to publish our new episode, another nice piece of inspirational music, later on. Welcome at a new episode along memory lane. Last December 2016 we had a wonderful month with all kinds of music. This month we have also music and I think during our five years we have had wonderful inspirational music to create haiku and tanka with. So I thought in this festive month we have to have music also. So back in 2016 I provided you with music by Joachim Raff, the best composer of the romantic era. His Symphony no. 11 was gorgeous, but I love to share another wonderful symphony composed by him. Today I love to inspire you with the music of his 7th symphony "in the alps". Enjoy the music. I think this haiku gives a wonderful image of this music. It also celebrates the beauty of nature, our source of inspiration. This episode is NOW OPEN for your submissions and will remain open until November 1st at noon (CET). I will try to publish our new episode, spiritual ways, later on. Have fun! Enjoy the music and be inspired. What a joy to create a new episode for our festive anniversary. Last year (2016) we lost one of the most famous and renown modern haiku poets. Jane Reichhold died at the end of July and around that time I created that special feature "Universal Jane". That feature was all about Jane and her wonderful legacy. In one of those episodes I tried to inspire you through haiku in which we can find love, erotics, sensuality and sexuality. Jane created several haiku about those themes and she did that in a wonderful way, not hidden, but our in the open. Earlier this month I tried to inspire you with "love" as prompt and I told you that haiku isn't really the form to bring sexuality, sensuality and love in. Those themes were more for tanka, or it's pre-form waka, love poems between lovers, between secret lovers. Jane is still missed, but her spirit lingers here at Carpe Diem Haiku Kai. I feel a bit lost without my dear friend and mentor Jane Reichhold, but she would have me to go on that's for sure. This episode is NOW OPEN for your submissions and will remain open until October 31st at noon (CET). I will try to publish our new episode, symphony no.11, later on. For now ... have fun! First my apologies for being late with publishing. I had a very busy day at work ... so I first had to recover from that before I could start creating this new episode of our luster month October 2017. As you all know Basho was a traveling haiku poet and we have wandered along the paths he went, but we also wandered through Europe. Back in the summer of 2016 I had our first Ginko, or "haiku-walk". 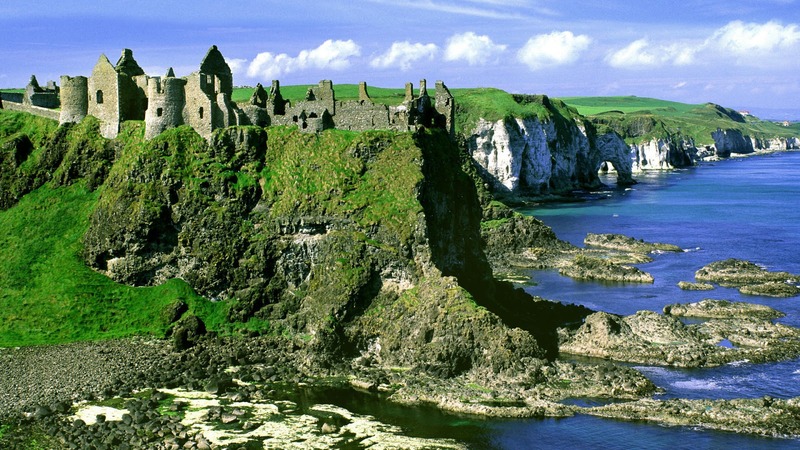 We visited several European countries to find inspiration in the beauty of those countries. Today's "memory lane" trip is back to that ginko. We visited Ireland (June 19th, 2016) and it was a joy to find haiku poets in that wonderful country. Ireland is a very spiritual and mystical country. 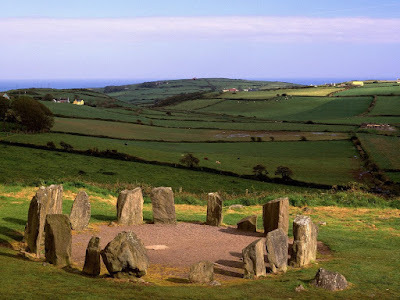 I think you all know Stonehenge ... in Ireland you can find similar stone circles ... one of them, Drombeg Stone Circle, County Cork, is such a stone circle. 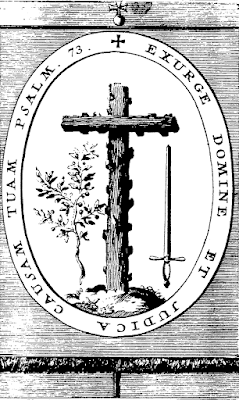 As excavations prove it was certainly used for religious ideas. It is proven that the stones are aligned on the Winter Solstice. I couldn't come up with a new haiku, so I reproduced a few haiku from the original post back in June 2016. This episode is NOW OPEN for your submissions and will remain open until October 30th at noon (CET). I will try to publish our new episode, abalone shells, later on. Have fun! PS. I have created a CDHK Forum, you can find the link at the right of our Kai. I have created a special forum for you. 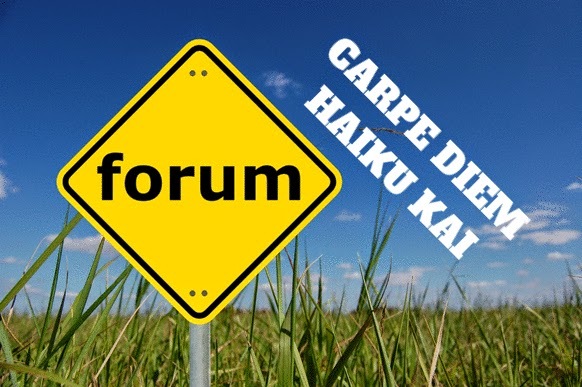 This forum I created with nabble.com and it's titled "Carpe Diem Haiku Kai Forum". At the right of our Kai you can find the link towards our forum. Feel free to visit and to participate in this forum. I have started already two topics for you to be part of. More to come later. 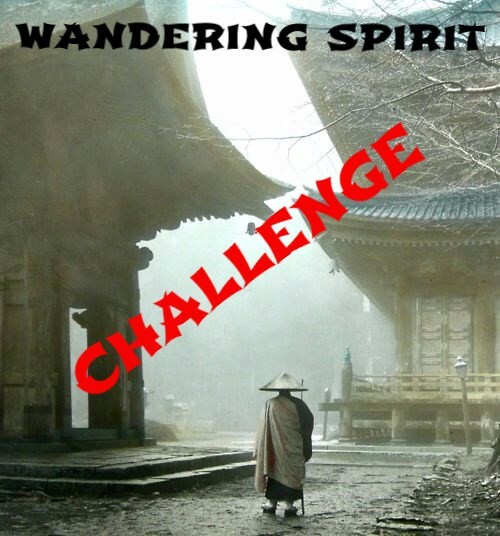 Several days ago I started 'Wandering Spirit the challenge' if you have an idea about the daisan, the third verse, than you can submit your idea in the comment field until October 25th at 10 PM (CET). Welcome at a new episode of CDHK. I hope you have all enjoyed your weekend and of course I hope the music I shared has inspired you all to create haiku, tanka or another Japanese poetry form. I am a little bit behind with commenting, but I hope to visit your posts a.s.a.p. Today I have a wonderful prompt for you, love. It is taken form February 2016. That month the prompts were all created bij our pirate Hamish Managua Gunn. All the prompts that month had to do with our senses and ... I think it was a wonderful month. Love ... not actually a feeling that you will expect in haiku, because love is more the terrain of tanka (or waka), but I think that haiku can be a love poem too. I even think I have said that more often here at CDHK. Love is one of the strongest senses we have. Love for someone, love for e.g. reading and painting, but also love for nature. That love is the most important for haiku. Haiku is known as the poetry of nature and to create them you have to love nature, being in close contact with nature. Well ... enough for your inspiration I think. The episode by Hamish that mentioned was published on February 24th 2016. Sure worth to read again. The above haiku is extracted from that episode. This episode is open for your submissions tonight at 7:00 PM (CET) and will remain open until October 29th at noon (CET). I will try to publish our new episode, Ireland, later on. For now ... have fun! This month I have no "weekend-meditation" episodes, but I have chosen for inspirational music created by young and very talented musicians. Today I have a beautiful composition by Peter Crowley titled "conqueror of the sky". I don't really know if this haiku fits the music, but as I read the title of this composition I immediately thought of eagles. Those magnificent birds that rule the sky. So I had to create this haiku impromptu before listening to the music. I wonder ... will this haiku fit the music? I love the music by Peter Crowley and his You Tube channel is really worth a visit. You can find his channel by clicking on the link earlier in this post. This episode is NOW OPEN for your submissions and will remain open until October 28th at noon (CET). I will try to publish our new episode, love, later on. Today I have a nice piece of music for your inspiration. It's titled "meaning of life" and the young Portuguese muscian BrunuhVille composed it. Listen to the music and let it take you with it ... The music is your muse and I am looking forward to your responses. More of his wonderful music you can find at his You Tube Channel BrunuhVille. This episode is open for your submissions tonight at 7:00 PM (CET) and will remain open until October 27th at noon (CET). I will try to publish our new episode, Conqueror of the Sky, later on. For now ... have fun! PS. 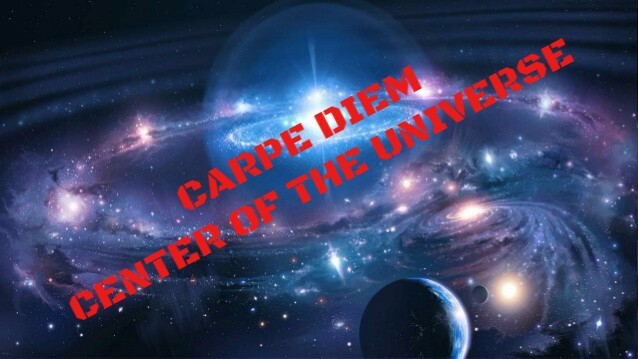 I have created a new page "Carpe Diem Center of the Universe", you can find that page above in the menu. Welcome at this new CDHK Extra. I publish this new CDHK Extra, because I have an announcement to make, don't worry it's a happy announcement. I have created a new feature in which I hope to get a conversation started. In the five years of our existence we haven't had a way of conversation in which you can ask things, can share thoughts and ideas and more. "The table in the lounge is the center of the universe, around which we gather every day for breakfast, lunch and supper, and where we talk about life and our hopes for the future". This lounge is on the Trans Siberian Railroad and Paulo Coelho and his companions "live" their during their journey. So that table is very important to them. I love to try to create a kind of "virtual lounge" were we can "talk" with each other about anything (of course related to Japanese poetry). 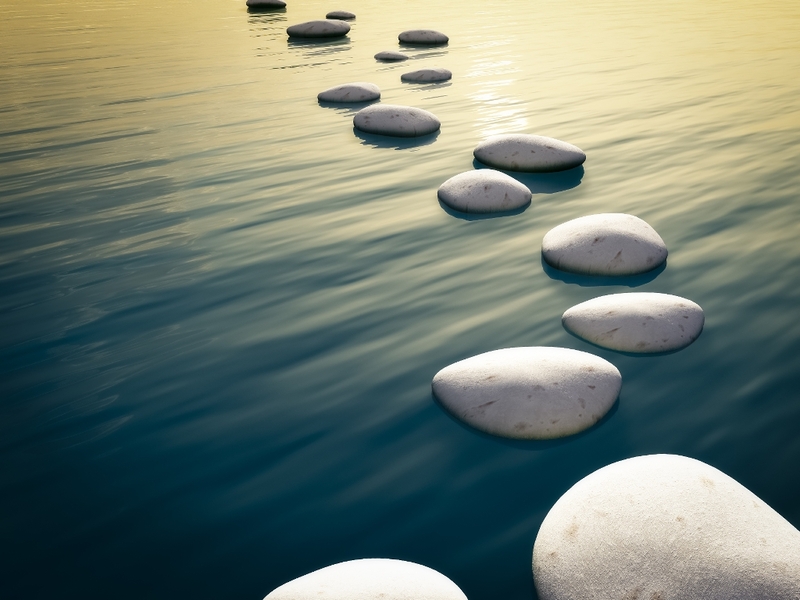 So I have created a new page titled "Carpe Diem Center of the Universe", which you can find above in the menu or by clicking HERE. I will start with the first 'theme' to open this virtual conversation. You can respond, being part of the conversation, through the comment field. Feel free to take part in this conversation. What means haiku to you? What has haiku brought you? Wow ... wow ... what an unexpected pleasure this is. 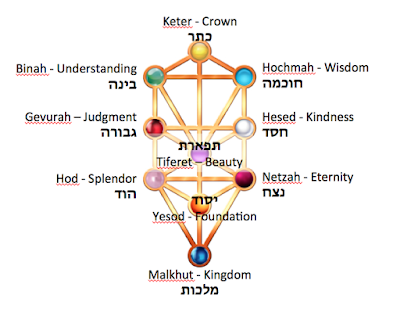 I have read already wonderful responses on the "Wandering Spirit Challenge" of yesterday ... I am overwhelmed by your responses I hadn't thought it would be such a success. Awesome. As I was busy with the preparations for this celebration month the last kukai "departure" escaped my attention. I have gathered all the submissions and I hope to publish them for judging this weekend. Sorry for this delay. We are celebrating our fifth anniversary and I feel somewhat sad that this month is closing in to its end, but until that moment we have still a few wonderful memories to look back at. Today I have chosen a prompt that I used in December 2015, on our way home. It was one of the episodes I created about that wonderful haibun by Matsuo Basho, Oku no Hosomichi (Narrow Road Into the Deep North). In December 2015 we followed his journey into the deep north and read his journal with eachother. 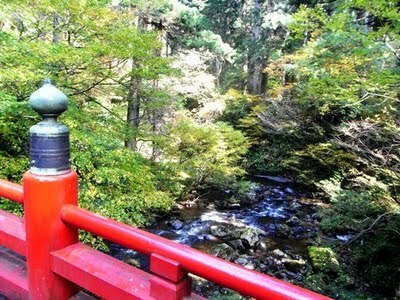 I remember that it is was a wonderful month in which we became even more in contact with the spirit of Basho, my master. In that (triple) episode I mentioned a famous haiku poet and close friend of Basho, Kasugi Issho. Issho is not a well known haiku poet nowadays, but it is said that he wrote wonderful haiku and love-poems. Here is the only haiku which I could find written by Kasugi Issho. I have tried to translate it and honor Issho with that translation. A wonderful haiku I think. As I have said often in five years of our existence haiku is the most beautiful way to express your feelings and thoughts. I had the opportunity to share my passion with the whole world and I am so grateful that you all are walking this path with me. 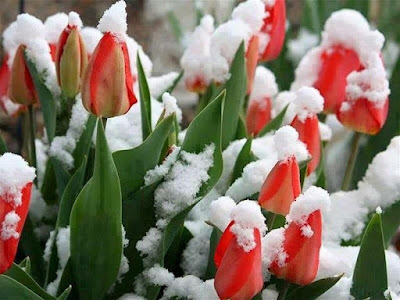 I have shared haiku created by great classical and non-classical haiku poets and I am just grateful that I can and may do that through CDHK, a warmhearted family of haiku loving people from all over the world. Thank you all ... to give me the opportunity to be your host here at CDHK. This episode is NOW OPEN for your submissions and will remain open until October 26th at noon (CET). I will try to publish our new episode, meaning of life, later on. For now ... have fun! PS. I have re-opened Haiku Shuukan, our weekly meme today starting with the prompt "restart". As you all (maybe) know I am writing our CDHK feuilleton "Wandering Spirit", about the life of Yozakura, the unknown haiku poet. Recently I started writing the new episode in which I describe Yozakura's first year as an apprentice of Basho. In that episode Basho and Yozakura start to create a chained verse, a renga. Yozakura has the honor to write the starting verse, or hokku. Yozakura has to write the third verse (or daisan) of three lines, but he struggles with, because he has to use the "moon" or a reference to "moon" in it. Yozakura wishes to ask you all for your help with this. Can you help him with the 3rd verse (daisan)? Share your third verse with him through the comment field. He will choose the third verse he likes the most and as it is your verse? Than he grants you the opportunity to be featured in a Wandering Spirit Special (something like our CDHK Special). I hope you like this challenge and I am looking forward to your responses. You can respond through the comment field until October 25th 10:00 PM (CET). Have fun! What a joy creating a new episode in our luster month. Five years of CDHK awesome. We have visited a lot of different places and we have walked on the path of Arjuna, but we also walked the path of the Shaman straight through the Altia Mountains while reading The Zahir by Paulo Coelho. What an awesome month that was and what a joy it was to create it. Today I love to go back to that month, November 2015, by re-doing an episode from that month. That prompt was "sacred stones" (or Ovoo). 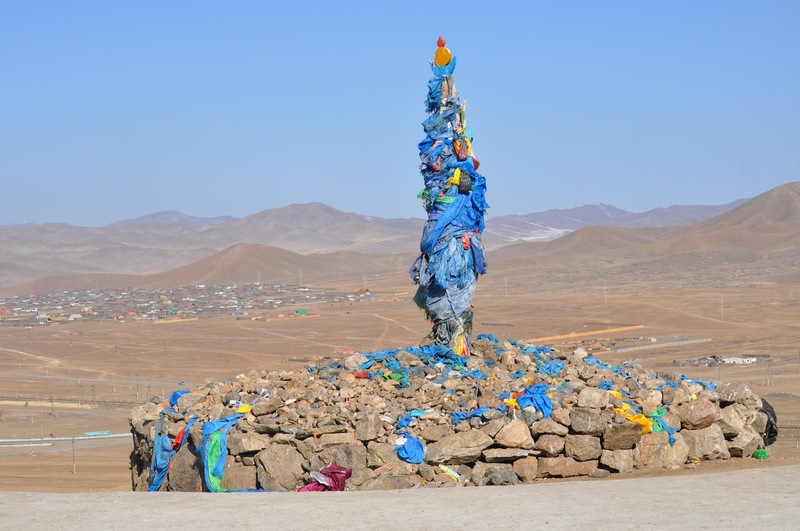 An ovoo (heap) is a sacred cairn found in Mongolian shamanic religious traditions, usually made from rocks with wood or from wood. Ovoos are often found at the top of mountains and in high places, like mountain passes. 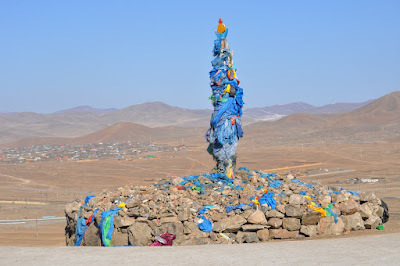 They serve mainly as Tengriism religious sites, used in worship of the mountains and the sky as well as in Buddhist or Shamanist ceremonies, but often are also landmarks. In our lives we have all places we have sweet memories at, we have points in our life that are our milestones, our sacred stones, our Ovoo. Isn't that a nice idea that the Ovoo stands also for the milestones in our life? What were your milestones for which you would build an Ovoo? In my life there are several. Let me tell you a few milestones in my life. I once said after the death of my brother, more than 20 years ago, "I will be an oncology nurse". In 2011 I reached that milestone. In that same year another dream I had came through. Eleven of my haiku were included in a worldwide anthology "Spasms of Light". Of course there were the milestones in my life as I became a husband, a father and a grandfather. And in 2007 I published my first novel, followed by a second novel in 2009. 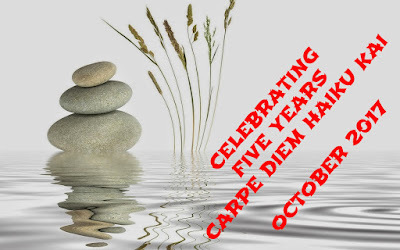 The most important milestone in my life was however the launch of Carpe Diem Haiku Kai and all what it has given me. My warmhearted family of haiku loving family members of CDHK and the warm colloboration with one of the most renown modern haiku poets, Jane Reichhold. Of course there were all the others, next to you all my dear Haijin, great spirits I had the privilege to work with. For example Michael Dylan Welch, Jim Kacian, Garry Gay and the renown musician Karunesh. All wonderful milestones in my life. I am so grateful that I can and may do this for you. It's really a joy to be your host and mentor, or as several of you have said yous sensei. I bow ... to you all ... I am just a humble guy with a big heart full of unconditonal love. taking the right path ? I hope you did like this episode. This episode is NOW OPEN for your submissions and will remain open until October 25th at noon (CET). I will try to publish our next episode, on our way home, later on. 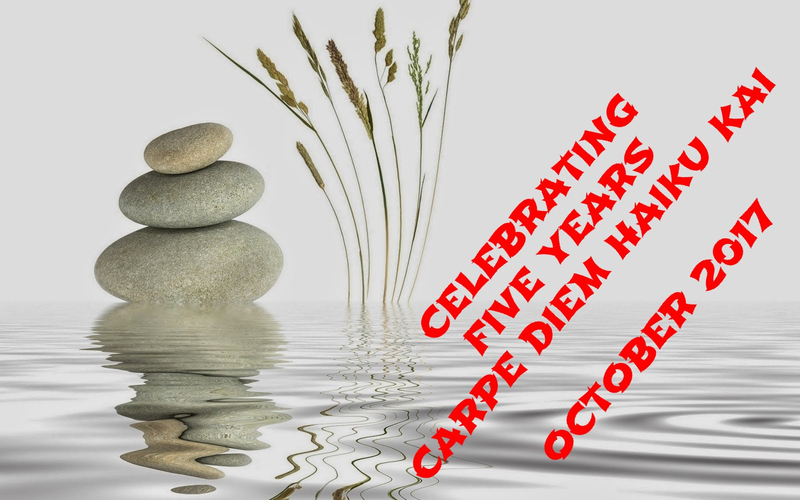 Five years of Carpe Diem Haiku Kai a milestone and that I have you all to thank for. Without you CDHK had been long gone I think, but ... we are still here and I enjoy it so much. It gives me energy. We are on a trip along memory lane and today I have a wonderful classical kigo for summer for you. 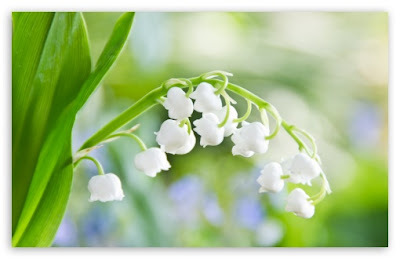 Back in July 2015 we had a whole month of classical kigo for summer and one of the classical kigo, suzuran (Lilly of the Valley), is again here for your inspiration. I love to challenge you to create a tanka inspired on Suzuran (Lilly of the Valley), of course you can use my tanka for your inspiration also. This episode is NOW OPEN for your submissions and will remain open until October 24th at noon (CET). I will try to publish our new episode, sacred stones, later on. Let us go further on our trip along memory lane. We enter a new year in this trip and have arrived at 2015. 2015 Was a wonderful year in which we started to read more and more to seek for the Peace Within. The Peace Within was the reason why we started to read the Bhagavad Gita that wonderful chapter of the Hindu "bible", the Mahabaratha. We started reading in April 2015 and it was a real journey through Hinduism. We disputed Hinduism as the Mother of all Religions, of course just hypothetical. The Bhagavad Gita is a really wonderful story to read. It's the heart of Hinduism. It gives a report from a conversation that Arjuna had with Krishna at the start of a great war between good and evil. Arjuna dares not to start the war, because he sees friend, relatives and family between the army of the enemy. He doesn't want to kill his beloved ones. Than Krishna teaches him the path of life. During that month we explored nt only Hinduism, but we also tried to find connections between religions and philosophies from all around the world. 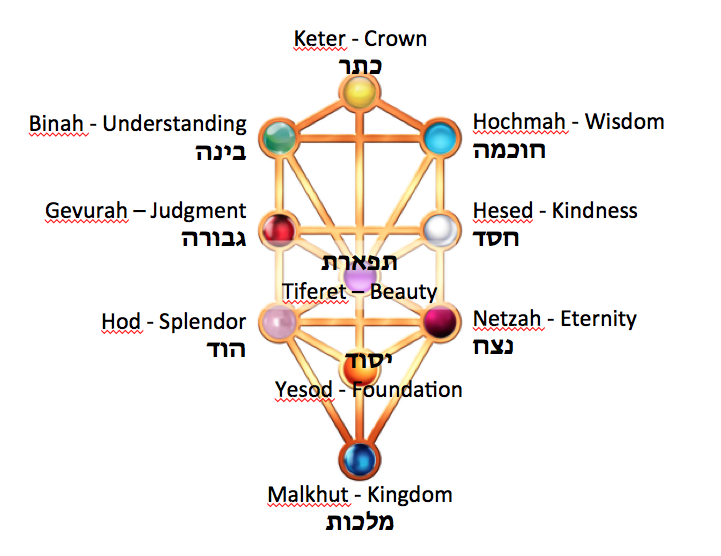 We even could find connections with the Tarot and the Kabbalah. We are on our way to find Peace of Mind and Heart ... and I hope you have found that while we were reading the Bhagavad Gita. Haiku is not only the poetry of nature, but it is also a way to find that peace. While strolling through nature we become one with nature, become part of nature (as it was once meant to be) and than we experience the beauty of our Earth. We have to cherish her beauty, Earth is the only source to find peace of mind and heart. Isn't that what we all see as our goal? This episode is open for your submissions tonight at 7:00 PM (CET) and will remain open until October 23rd at noon (CET). I will try to publish our new episode, Suzuran, later on. Have fun! 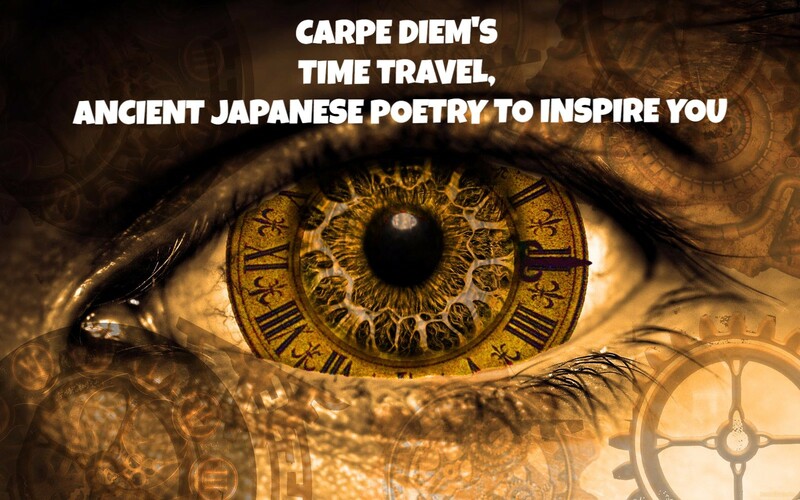 Carpe Diem Winter Retreat 2017 "Life is Beautiful"
It's time again for our Carpe Diem Retreat, 30 days of writing haiku and tanka, one a day on a theme. Winter is closing in, so here is the Carpe Diem Winter Retreat 2017. For this CDHK Retreat I have chosen the theme "Life is Beautiful". I think it's a wonderful theme and I am looking forward to all of your responses. CDHK's Winter Retreat 2017 starts tonight at 10:00 PM (CET) and will run to November 15th 10:00 PM (CET). I have a weekend off, and this weekend I am all alone at home, no problem by the way. My wife is visiting her parents and my youngest son is the weekend away with his friends. So I can listen, for example, to my own music. Right now I am listening to Mozart's Requiem, a composition he never could finish. He died before his final piece was ready. It's a wonderful composition and you have to listen to it once, it's sure worthy to listen. Well ... as you know we are celebrating our fifth anniversary and this month we have not "weekend-meditations", but wonderful inspirational music every weekend. Yesterday I shared a nice piece of music composed by Peter Crowley and today I have another beautiful piece of music composed by Karunesh. I couldn't find the title of the album from which its extracted, but maybe someone of you knows it. It's a real nice composition. That energy I found in haiku. So you can (maybe) say that haiku saved me from the negative path I was on. Through haiku I discovered the beauty of nature and it became a task for life to defend nature, not through an organisation or something, but just through teaching my kids and grandkids to take care of nature. My kids and grandkids are all caring for nature, not all in the same way, but for example ... my kids and grandkids will never throw garbage on the streets or in nature. They are all "soldiers" to take care of nature. I hope you did like the music and the post "an sich". This episode is open for your submissions tonight around 7:00 PM (CET) and will remain open until October 21st at noon (CET). I will try to publish our new episode, Yekaterinburg, later on. For now ... be inspired and share your inspired haiku, tanka or other Japanese poetry form with us all. !! This Time Glass episode closes on October 16th 2:00 AM (CET) !! Maybe you can remember that we once had a time-challenging feature titled "Time Glass". The goal was to create haiku or tanka inspired on a theme within 24 hours, so a real time challenge. I love to "restart" that feature. Why? Well as you all know several months ago I changed the responding time of our Kai into seven days, a whole week, but (as you all know) haiku is an impression of a moment as short as the sound of a pebble thrown into water. That short time can help you to create your haiku (or tanka) based on that single moment. I love to improve your haiku (and tanka) writing skills so I think this "Time Glass" feature can help you with that. But ... we are a haiku loving family from all over the world and we live all in different time zones, so I think it's a good thing to extend the (original) 24 hours of the "Time Glass" feature to 36 hours to respond on the theme. 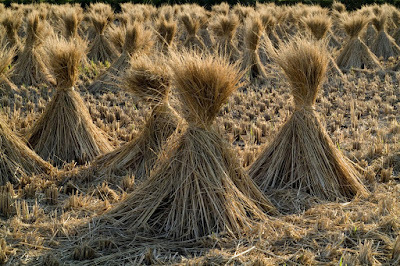 That theme can be a haiku, a tanka, a waka, an image or just a word And for the "restart" of this feature I have chosen for a haiku and an image to inspire you. Well ... a nice time challenge I think. 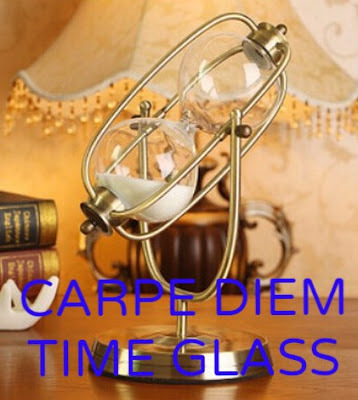 Try to create your haiku or tanka inspired on this "restart" of the Time Glass and share it with us within 36 hours. That means this episode is open for your submissions around 2:00 PM (CET) and it will remain open until October 16th 02:00 AM (CET). Have fun! Sorry for the delay it escaped at my attention, so here it is our new episode for this month's celebration. Today I have a nice musical composition for your inspiration. It's by Peter Crowley, an awesome composer and I love his music. His style is somewhat out of the ordinary, because he uses a lot of different kinds of music. Peter Crowley calls this kind of music "epic Asian adventure music" so it has a nice connection with our beautiful Japanese poetry. So ... enjoy the music and I hope it will bring you the inspiration you need. This episode is NOW OPEN for your submissions and will remain open until October 20th at noon (CET). I will try to publish our new episode, Enigma (by Karunesh), later on. For now ... have fun! Koyu-Ni was (as e.g. Chiyo-Ni) a Buddhistic nun (as can be seen at her name "ni" stands for "female monk".) There aren't many haiku known by her. I think that in my translation the peace of mind is stronger present. With every gust of wind I am anxious that the fragile Cherry blossoms will be scattered and torn apart, but as all blossoms have fallen than my heart and mind are at peace, there is no anxiety anymore and that gives me that feeling of tranquility. Life and dead are living together just on a thin line of silk, so close to one another, but that's the circle of life, the beauty of Mother Nature. This is what haiku is ... writing about nature and mankind as being part of it's beauty. Well .... 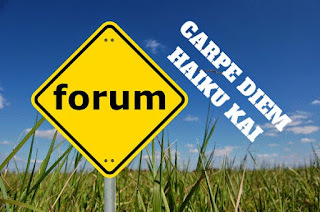 I think you all can remember this episode and I love to challenge you to create a haiku (or tanka) following the classical rules as described often here at Carpe Diem Haiku Kai. This episode is NOW OPEN for your submissions and will remain open until October 19th at noon (CET). 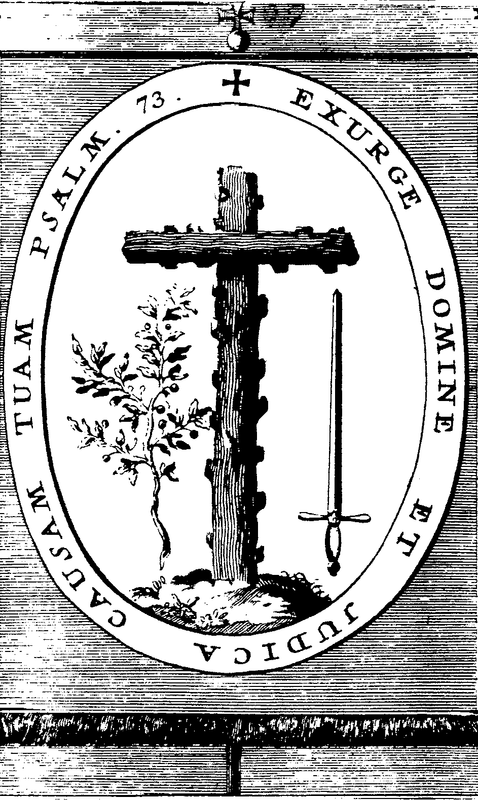 I will try to publish our new episode, the sacred sanctuary, later on. For now .... have fun!